Each building on our campus has a timeline for roof repairs and replacements and is regularly inspected for damage. Maintaining all the roofs in good condition is critical to preserving the structures. A new copper roof was installed on the flat main nave of the Church in 1993. 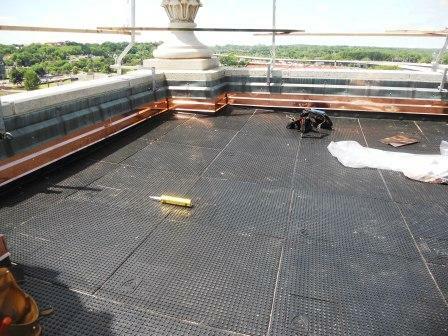 Surrounding the dome there are four flat roofs and three pitched roofs made of EPDM (ethylene propylene diene terpolymer), an extremely durable synthetic rubber roofing membrane. 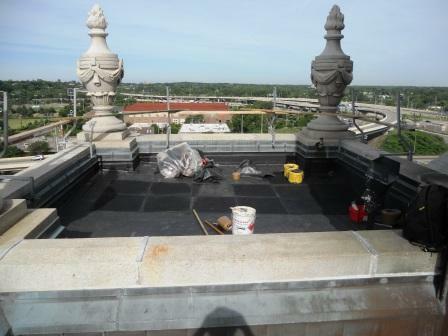 The bell towers and Portico also have EPDM roofs. 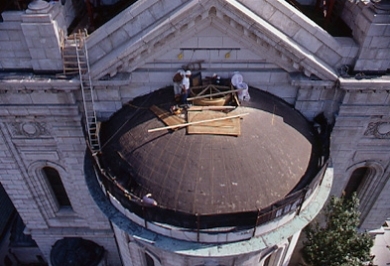 The Church roof had reached its recommended lifespan and was replaced in 2016. The total cost was approximately $400,000 and it is expected to last for of 20-25 years.